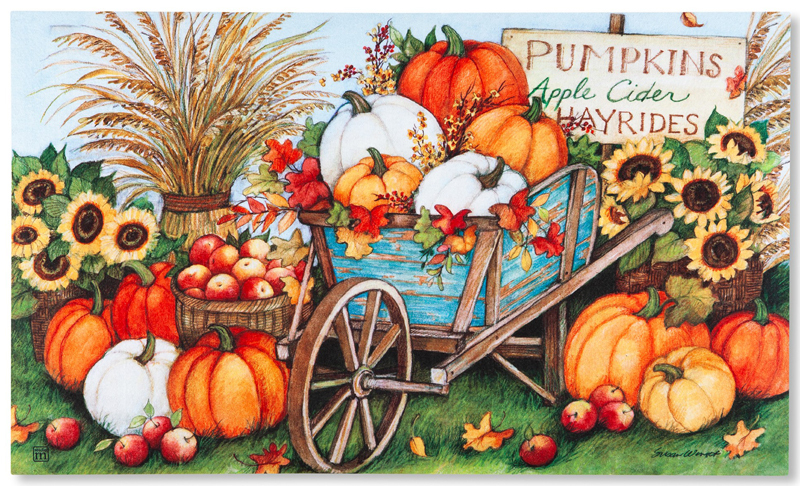 These five must-have home accents celebrate the harvest season in the same way: with pumpkins! Our newest braided table runner features three pumpkins, decorative bittersweets and rich harvest colors for a table or countertop. As always, the reverse side of this home accent is without the pumpkins so you can decorate your home with these colorful braids all year long. 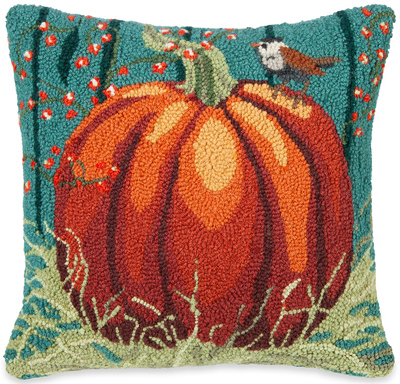 Another indoor pumpkin home accent is the Pumpkin Bird Hooked Wool Pillow, which offers a beautiful color palette with deep and light hues – and we can’t forget about the charming little bird perched on top of the pumpkin! Although summer is coming to an end that doesn’t mean all of our time will be spent indoors, so add a couple of outdoor home accents that complement the season and the actual pumpkins you will likely be displaying on a front porch or stoop. Our Pumpkin Garden collection features vibrant, detailed imagery designed by artist Susan Winget, and the Three Pumpkins Garden Flag Stake is the perfect way to display the garden flag. How are you decorating with pumpkins this fall? Share your ideas below and browse more pumpkin home accents here. 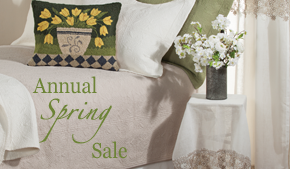 This entry was posted on Monday, August 27th, 2018 at 10:50 am	and is filed under Art, Decorating, Harvest, Made in the USA, Monday Must-Haves, Outdoor, Pillows, Seasonal Decorating, Thematic. You can follow any responses to this entry through the RSS 2.0 feed. You can leave a response, or trackback from your own site.